Prominent & Leading Service Provider from New Delhi, we offer retro reflective sign boards, reflectorized signs, road signs, night glow signage, reflective signage and no parking boards. 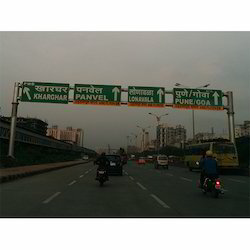 With immense expertise and knowledge in this domain, we have come up with a best-in-class Retro Reflective Sign Boards that is used on roads and highways. The provided service is rendered in varied industries the suits the client requirements and needs. Our adroit professionals offer this service by using progressive machines and technology in line with industry norms. In addition to this, customers can avail this service from us at market leading prices. Our organization has successfully expanded its fame in the industry owing to the offered elevated quality assortment of Reflectorized Signs. 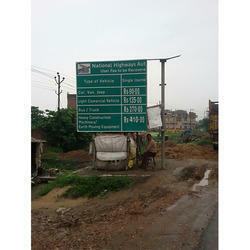 Our offered sign boards are extensively demanded for displaying the location of the map. This sign board is designed using well-tested material and ultra-modern machines under the guidance of well-qualified professionals. Further, it is examined on various quality parameters and norms before being delivered to our clients assuring its flawlessness from our end. 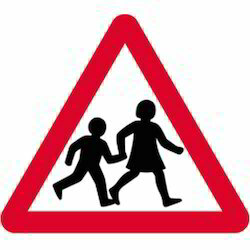 We take great pride in introducing ourselves as a standout provider of Road Signs to our customers. These are used for providing information or instructions to road users. These are visually appealing and available in various combinations of colors and textures to our customers. Road Signs are effective means of conveying the road rules and are highly useful in the prevention of traffics. These have excellent finishing and are customized in accordance with market demands. There is an excellent market demand for these products. We are providing these at an affordable price. 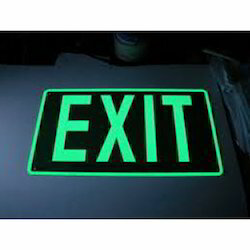 We offer a wide assortment of Signage Night Glow in different eye catching designs. The entire range is manufactured from high quality raw materials sourced from authorized vendors of the industry. Our highly skilled professionals help us in offering the premium quality Reflective Signage for safety rules indications. Available in various designs and patterns, our offered signage is highly demanded by our clients. Being a quality-oriented organization, we assure our clients that our offered range is the best in quality. 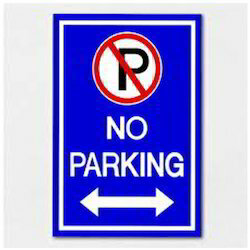 We have gained a remarkable position in the market by offering a stylish collection of No Parking Boards. Additionally, we offer these boards to our clients after assuring that our offered range is the best in quality. Mainly used to resist the parking of vehicles in front of gates, clients can avail the entire range from us at market leading prices. Backed by the vast experience, we are among the best providers of Retro Reflective Direction Signs Board that is widely appreciated and demanded by our esteemed clients. Generally installed at railway stations, roads and other such places, this sign board is used to guide the right direction. Patrons can avail the service from us at very affordable charges. Our firm is offering No Parking Boards. Professionals also make this product in different designs as per the requirements of the patrons. By keeping track with the market development, we are offering Glow Reflective Boards that is used for outdoor advertising. Efficiency, promptness, and dependability are some of the factors that increase demand of our offered service in the market. Helped by highly driven technical excellence, our skillful professionals are able to render this service in an efficient manner within the shortest time interval. Also, we impart this service at the market leading rates. 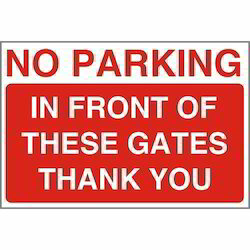 We offer our patrons a fascinating range of Retro Reflective Signage. Complying with international quality standards, these signages are enduring and offer greater reflective nature with clear visibility at night times and during adverse weather conditions. We are offering customized designed signages as per clients’ need. Owing to our vast experience, we are specialized in providing Reflective Printing . Our skilled professionals properly analyze the demands of our clients and use high quality ink and latest techniques to fulfil the printing needs of the customers. Moreover, our clients can avail this printing service at economical prices from us. 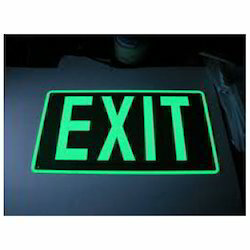 Being a client-centric organization, we are engaged in offering a wide array of Retro Reflective Signs. 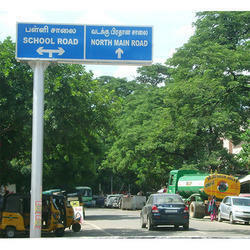 As per the market demands, the offered signs are mainly used at roads for safety purpose. In order to attain maximum clients' satisfaction, our offered signs are available in exquisite designs, shapes, sizes and finishes to choose from. Clients' can avail these signs from us at an effective cost. We are instrumental in offering our clients a wide range of Retro Reflective Signs. The offered product is manufactured under the supervision of deft and expert professionals, who utilizes superior grade raw material that is in adherence to the set industrial norms. 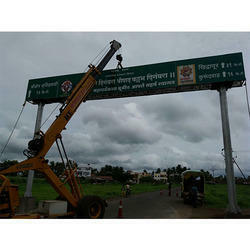 Also, we offer customization facility of the offered sign boards at reasonable rates. We offer our clients with a well-managed and superior quality Reflective Traffic Signage that is used for signboards of all dimensions and materials. The offered service is rendered by using progressive tools and technology under the guidance of adroit professionals in line with industry norms. Our provided service is highly appreciated by the clients for their various quality attributes. Moreover, we offer this service to our clients at market leading prices. By taking necessary strategic decisions, we are involved in offering a wide spectrum of Overhead Gantry Sign Board. 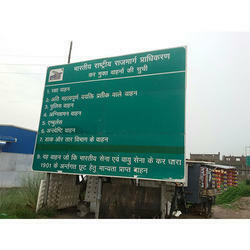 Our offered board is used for the easy and effective management of traffic. It prevents the traffic from going haywire. The board offered by us is strictly examined on varied quality parameters by our experts before delivery. In addition to this, our offered board can be availed by our valued clients' at reasonable prices. In tune with the track of advanced market development, we are engaged in offering a high-quality Overhead Cantilever Sign Board. The offered board is clearly visible from a distance, hence widely used in diverse areas such as education institutes, emergency zones, parking areas, rail crossing road and public spaces. Apart from this, we deliver this board in customized options to attain maximum satisfactions of our clients. We are immersed in providing an extensive range of Reflective Square Traffic Sign Boards to our prestigious clients. These boards are highly demanding among clients for their designs and flawlessness. Offered boards are available as per the desire and demands of clients. We offer these quality boards to the clients at reusable prices. 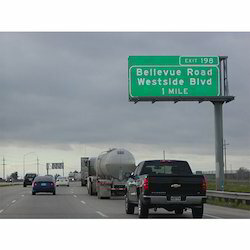 Being a noteworthy enterprise of this industry, we are engaged in offering a broad range of Highway Signs. 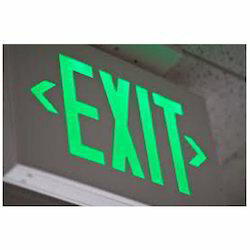 Our offered signs are mostly used on highways to give directions and indications to the drivers. Visible from the long distance, this range of products help in managing traffic. 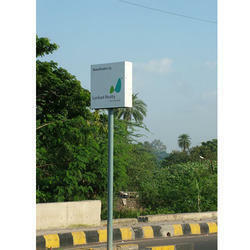 Moreover, our offered signs can be availed by our clients' at feasible prices.